Hello and thankyou for visiting my AMIGAoneX Blog. For sometime (at least a year) I have thought about creating a Patreon site and have now decided to do a soft launch. If you can't support my Patreon please consider promoting it somewhere online (eg Facebook, twitter, Amiga forums). 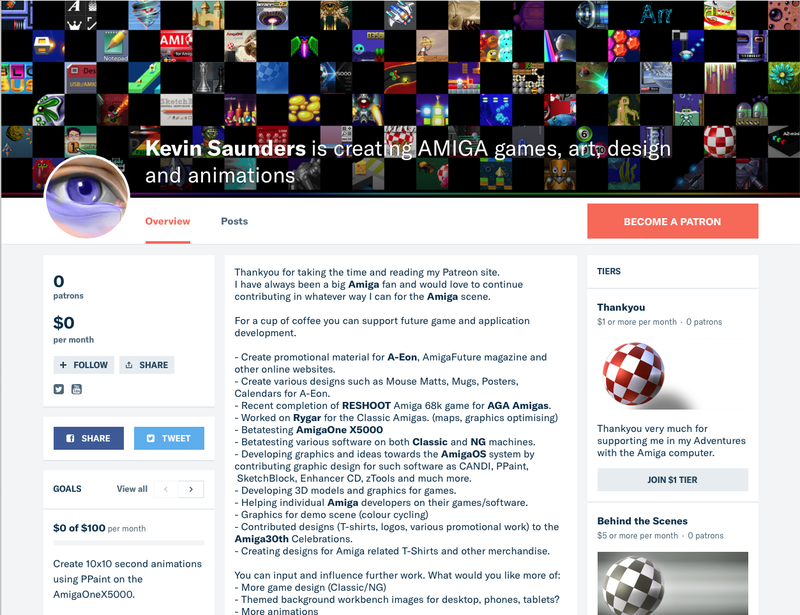 I am very open to refining the structure of the Patreon and if your a Gold member you will be able to influence what I do for the Amiga Scene. Thanks again for visiting and now back to creating some teaser pixel work.